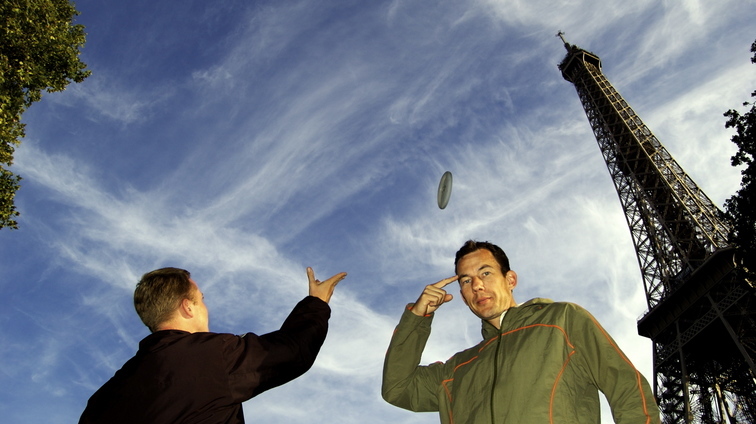 Johnny tries to tomahawk his disc over the Eiffel Tower. 'No comments' from Kjeld Bruun. Hey, it is only 324m to the top! The photo has been viewed 1307 times.